The most important kitesurfe event in Mexico and the second most important in the Americas is back with 200 domestic and international competitors. The 6th Annual Wind Festival (Festival del Viento) is headed back to Bucerías, the Riviera Nayarit’s Wind Capital. Backed by the Mexican Kitesurf Association (AMK, by its acronym in Spanish) and with the support of the Riviera Nayarit Convention and Visitors Bureau’s Groups and Events department, the event will take place from May 22nd through the 24th. The competition includes Downwind and Course Racing (with a Long Distance Regatta and a Slalom Regatta), as well as Freestyle and Big Air events. It runs from noon to 7 p.m. for the three days; participant categories range from 15-and-under juniors to masters 45 years and up. The splendid conditions on the bay will welcome 200 competitors—the majority hail from Mexico, with the balance including athletes from the United States, Italy, Canada, Colombia, Venezuela, Great Britain, France and Spain. This is the most important leg of the domestic AMK tour because it’s good for two points for competitors, as opposed to all the others that are worth one point each. Special guest Riccardo Leccese will be a judge and will hold training workshops for participants; he will also compete in the Downwind race exclusively. Leccese is a professional athlete of Italian and Colombian descent who currently holds the number one spot in the racing category. The largest competition is Downwind, where all the athletes will race from La Cruz de Huanacaxtle to Bucerías. 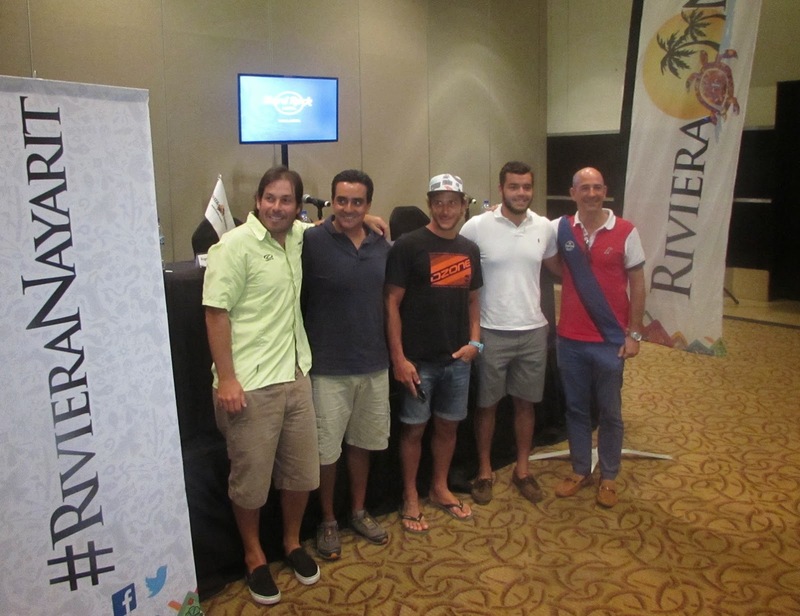 According to the experts on the organizing committee, Rogelio Basave and Carlos Rosas, the Riviera Nayarit is the second most important spot in Mexico for kitesurfing. They mentioned the six climate-monitoring systems located between Nuevo Vallarta and La Cruz de Huanacaxtle, plus the open access to the beaches for all lovers of wind sports. Every security measure on land and sea has been taken to ensure the safety of participants, along with the full support of the municipal, state and marine authorities. Click here for the official website: http://festivaldelviento.mx/. Check out the video promo: http://youtu.be/EBTbfft5iLE.